American sensations Nahko and Medicine for The People have just revealed the video for their brand new single ‘San Quentin’, which is taken from the forthcoming new album HOKA which will be released on June 10th through SideOneDummy Records and is currently available for pre-order at nahko.com. After the roaring success of their sold-out debut visit to the UK last year and a sold-out tour this January, Nahko and Medicine for The People will be back for a full Euro tour this August. He was adopted as a baby by a middle class, white American family in the north-west of the country and grew up playing piano at a young age - which is where he learned to respect music. Because his mother was forced into human trafficking, Nahko and his mother are advocates for the anti-trafficking movement of indigenous men and women. A few years later, Nahko learned that his biological father had been murdered in 1994. The new single ‘San Quentin’ is the result of Nahko visiting the man responsible for murdering his father - and forgiving him. “I didn’t really know what I was going to say to him,” Nahko explains, but as he sings, he’s “come a long way to tell you this story - there’s no turning back now.” Nahko ventured on the visit so he could get some closure after spending the majority of his life unravelling the truth of his childhood. It was important to him to forgive the man that murdered his father in person. Both the video and song are more uplifting than one would expect given the subject matter, but that is just a reflection on Nahko’s outlook on life. "I went there to forgive this man and in forgiving him, I freed myself. It only hurts yourself to hang onto hate. Forgiveness empowers you to create change. I believe everything happens for a reason ­ good and bad. People are put in your life for a reason, and you need to turn that pain into something positive to make the world a better place." "Over the last three years, I've been cracked open so deeply in my own healing to really give this record my all," explains Nahko. "My style of writing and my intentions with how I put things together has evolved a lot. I'm able to better paint the picture after time on the road, seeing first­hand the emotional state of the people of the world, of how sick people are, and how much healing they need." Another single-to-be is the blissful acoustic epic ‘Tus Pies (Your Feet)’, which was inspired in part by Chilean poet and politician Pablo Neruda. "It's about friendship and being an anchor for someone. ‘Pies’ is the Spanish word for 'feet.' At the end of one of his poems, Neruda says a line I cherish: 'I love your feet for how they walked on the mountains and through the rivers and through the valleys until they found me.' I've always loved that picture of how we find people in life and all of the intricate twists and turns that it takes for someone to arrive." Nahko and his musical collective are also joined by album guests Trevor Hall, Xavier Rudd, Rising Appalachia's Leah Song, singer/songwriter Zella Day, the female trio Joseph, Hawaiian singer Hawane Rios and Pua Case, one of Nahko's spiritual teachers and Hawane's mother. And as for the album title? "Hoka is a Lakota word, it is a call to action. It's what Crazy Horse would say when he went into battle, 'Hoka, hey!' My call is to put action to the words that I speak and the lyrics I sing. Not just to talk, but to do." 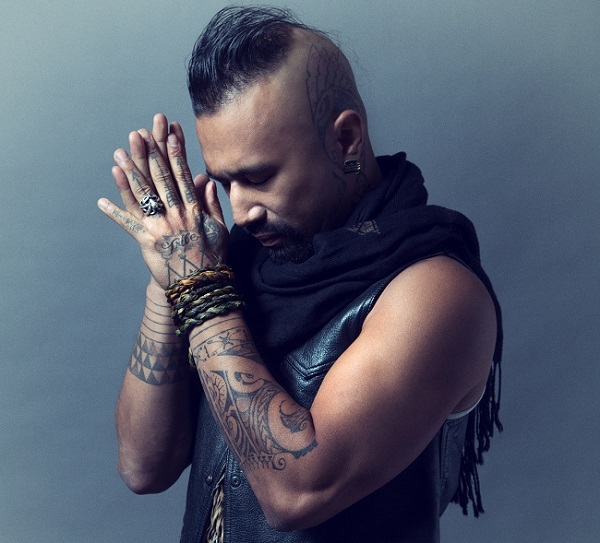 Nahko describes his music as a mix of hip‐hop and folk rock with a world message to spread awareness of living in harmony with each other and Mother Nature. Lyrically they explore themes such as indigenous ideology and mythology, social commentary on economics and the distribution of wealth and power, youth empowerment and direct action. You can find out more in the ‘Getting To Know Nahko’ video where he gives an insight on the origin of his name and unique views on music. In addition to Nahko, Medicine For The People are: Chase Makai (lead guitarist), Justin Chittams (drums), Pato (bass guitar), Max Ribner (horns) and Tim Snider (violin).